Thank you everyone that has joined and followed The Thornton Group Real Estate on Twitter ! @RealEstateBCNow ! We now have over 3,000 Followers ! We are also on instagram @ + #RealEstateBCNow ! Greater#Vancouver #Realestate Top #Tips to #selling and #buying #homes ! Check Out The Thornton Group on YOUTUBE ! We will be featuring Videos covering the most frequently asked Real Estate questions and YOUR Questions ! We wil also be including our newest Virtual Tours to our channel and keep it updated with mortgage news and conditons of the real estate market ! Make sure you subscribe ! Send your questions to be answered to info@thethorntongroup.ca ! Check out our newest Listing! Thank You to our 2,000 Plus Followers! Keep in touch with the latest Real Estate news by following. Our Tweets and Facebook Fan Page contain useful home and real estate announcements, tips and tricks, and other resources to help you maximize the value of your home. See how your furniture will fit before doing all of the heavy lifting with the help of RE/MAX Space Planner! Their easy-to-use software lets you choose furniture to fit the exact measurements of the rooms in your home allowing you to experiment with different combinations, swap things around and try different styles until you’re satisfied with the result! -February's 2012 housing market update by the Real Estate Board of Greater Vancouver. -A Japanese Real Estate brokerage commercial that had been previously blogged about. -What a single car garage looks like in Europe. QR codes now on all listings! This weekend we had gone through the process of creating unique QR codes for each one of our current listings, today have managed to get those QR codes placed on each of our listings signs! We are looking forward to using QR codes for all of our future listings as they make it easier for prospective buyers to view our homes and catch a wider audience! As TELUS would say "the future is friendly". 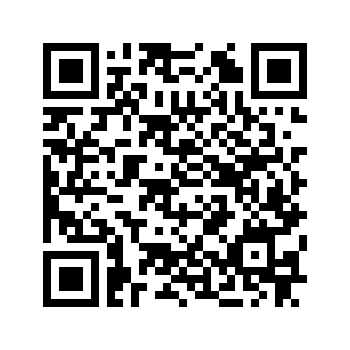 As of early next week all of our Listing in the Lower Mainland will be given it's very own unique QR (Quick Reference) code that will be displayed on promotional materials and signage to allow for quick viewing from smart phones anytime and anywhere! Give it a try now!